About HighSummits - HSClimbing Company S.A.
High mountain climbing, expeditions, rock climbing, trekking, hiking with certified professional mountain guides. 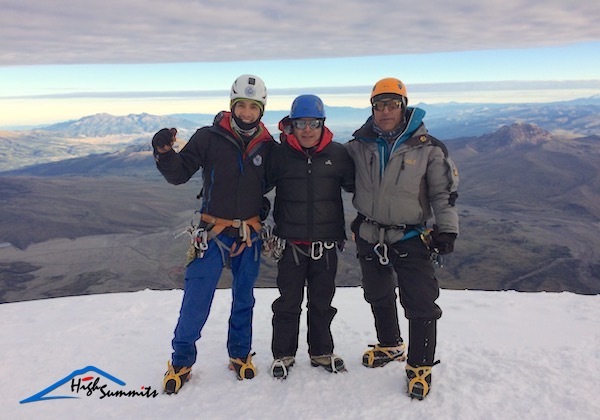 High Summits®, based in Quito, Ecuador, is a tour operator specializing in expeditions, mountaineering trips, high mountain and adventure tourism in Ecuador and the Andes. 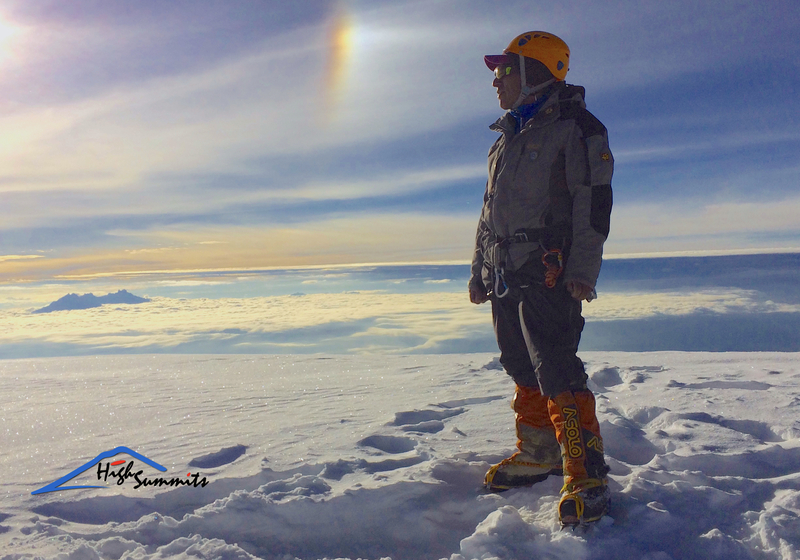 In order to guarantee maximum safety for our customers and to guarantee the best service, with High Summits®we have been working exclusively with certified guides from the Ecuadorian Mountain Guides Association (ASEGUIM) since our foundation. 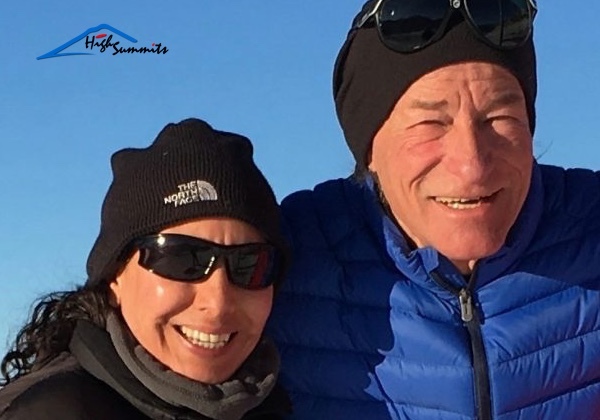 Many of them are certified mountain guides IVBV and have made demanding ascents and routes in the Himalayas, the Andes and Alps in Bolivia, France, Switzerland, Germany, Austria, Italy, Argentina, Peru, Chile, Australia, Nepal, Tibet. Our guides are bilingual, besides Spanish they speak English, German or French. For the safety of our guests, our guides have cell phones and radios with them and are thus in contact with each other and with our office. 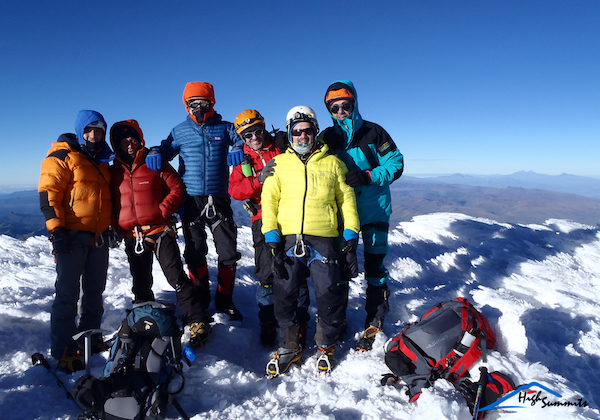 On the ascents of Chimborazo, Cotopaxi, Cayambe, Antisana, Altar and Iliniza South, we strictly maintain a guest / guide ratio of 2: 1, which means that our mountain guides guide up to 2 guests or mountaineers on glacier ascents. This ratio may change if safety or conditions require it. If e.g. a guest of a rope team must descend, if the conditions allow the second guest may join with another rope team to continue the ascent. Also on acclimatization hikes our groups are led by a mountain guide. During the tourist program our guests will be accompanied by the guide or by a certified tourist guide. 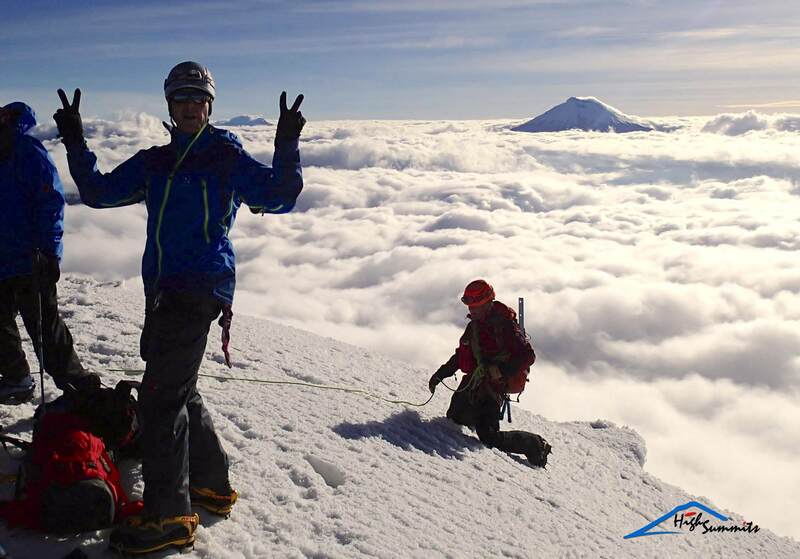 High Summits®promotes respect for the environment, culture and people. We protect and preserve the environment in our activities, in particular paramo and mountain landscape as best as possible and commit ourselves to sustainability. 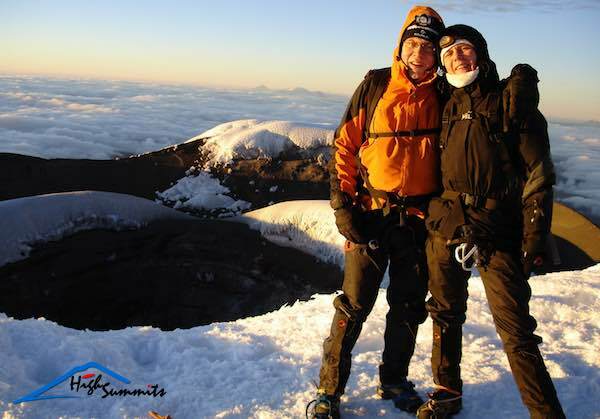 Our strengths - why can you count on High Summits® for mountaineering in Ecuador? At High Summits® you are not a customer number! We look forward to meeting you, and providing you with a personalized service. With us you never talk to a call center, we are your personal advisors and take into account in the design and organization of your mountain travel your travel needs, dreams, strengths and even weaknesses. 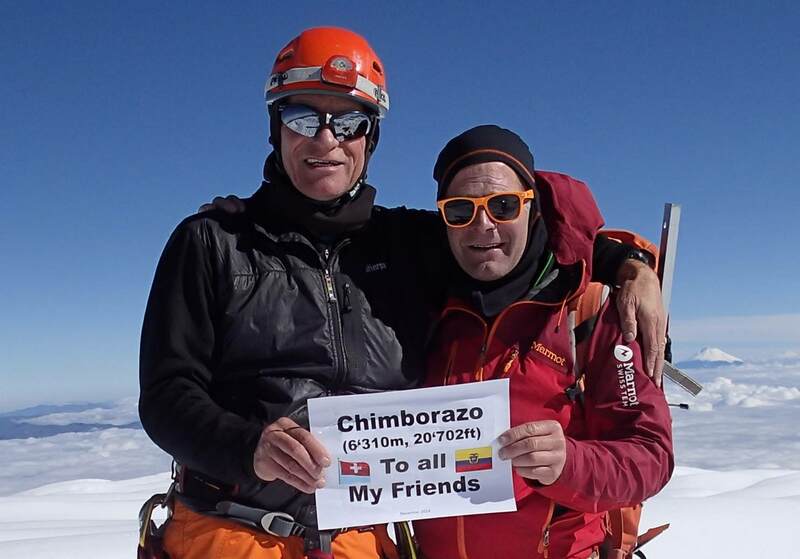 For High Summits®, your safety on the mountain and during the entire mountain climbing adventure tour is the most important thing, that's why we work exclusively with experienced and certified mountain guides, members of the ASEGUIM (Ecuadorian Association of Mountain Guides, member of the IVBV). Your satisfaction and the trusting partnership to achieve your goals are at the center of our actions! For an unforgettable mountain experience we provide you with all our knowledge, infrastructure, experience and warmth of our team. High Summits® legal aspects: founded 1997 as HighSummits Cia. Ltda., 2006 conversion into HS Climbing Company S.A., "HighSummits" is our registered trademark. Operating permit of the Tourism Ministry from Ecuador: No.1701506891, Tourist Board Pichincha: No. 140018, RUC 1792196639001.